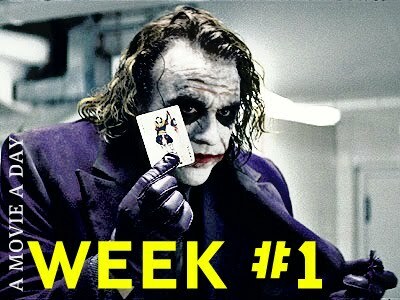 Cinematic Paradox: Week #1 in summary...! Bats, Planes and Gollum rock my world this week. Week #1 in summary...! Bats, Planes and Gollum rock my world this week. So that was 10 movies in 7 days. Even though this exercise is called 'A Movie a Day...' This week movies have averaged at 6.7/10. So I guess I could call that 'average'. Best movie? Definitely The Dark Knight. But if we were talking films I haven't seen, then The Lord of the Rings: The Return of the King. Worst movie? Open House. Horrible, horrible movie. Even if it is independent and went to Tribeca, that doesn't disguise the fact that it has no character development. Highlight of the week (non-A Movie a Day... related): Seeing normal audiences raving over Inception. I know I am going to love it. Lowlight of the week: Seeing negative Inception reviews, not getting to see Inception when everyone else does, and the fact that the school holidays are almost over. Crap. Excellent overview! Like you, BLACK DYNAMITE is the only blaxploitation movie I've seen thus far - which makes it difficult to pick up on the movies it's spoofing. But there does seem to be some absolute treasures in the subgenre, such as BLACULA and BLACKENSTEIN. Pleased you dig the LOTR trilogy, but the big question is... LOTR or STAR WARS?? To be honest, I have only seen two of the Star Wars movies, but I would definitely be going for LOTR...mainly coz I live in NZ and just because I can. They are both equally good sets of movies. Are you planning on watching the STAR WARS flicks?